Team Sales Lead Samantha Sumesar-Rai is a professional sales expert with many years in the logistics business. She hails from our office in Trinidad that consists of a team of dedicated experts to handle global exports to the Caribbean. She started her career when she was in her late teens at a food service company. Sumesar originally came on as an assistant there, but her supervisor noticed that she was keen to do more and offered her the opportunity to move up and take on a logistics coordinator role at the company. Sumesar said being the team sales lead at the iTN Worldwide Port of Spain local office is a fascinating role for her. 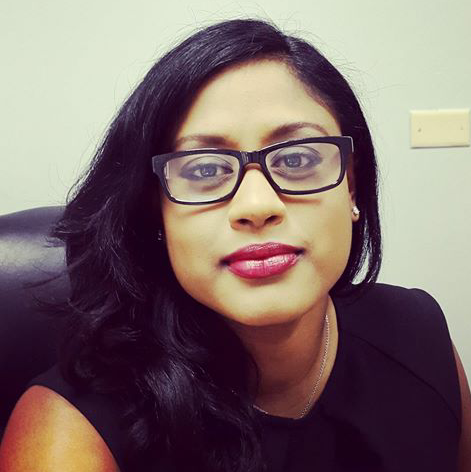 Part of her initiative is to further develop iTN Worldwide in Trinidad saying she believes that iTN has the potential to propel into being one of the top international freight forwarders in the country. Before joining iTN Sumesar was an account executive at another international freight forwarding company but longed to work in a company with a variety of services and routing options. Her new role at iTN offered her further confidence that she could provide resources to serve customers in all of their logistics efforts, because of this she was able to close a booking on her first day of work.